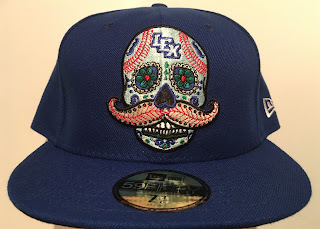 This week's Fresh Fitted Friday is going to stay super topical as I'm not only featuring another South Atlantic League team, but one related to the Copa de la Diversion news of this week; MILB is bringing the campaign back after a wildly successful launch in 2018 and today's hat is the "Lexington Leyandas" cap that the Lexington Legends wore last year. At first I had mixed feelings about this hat. 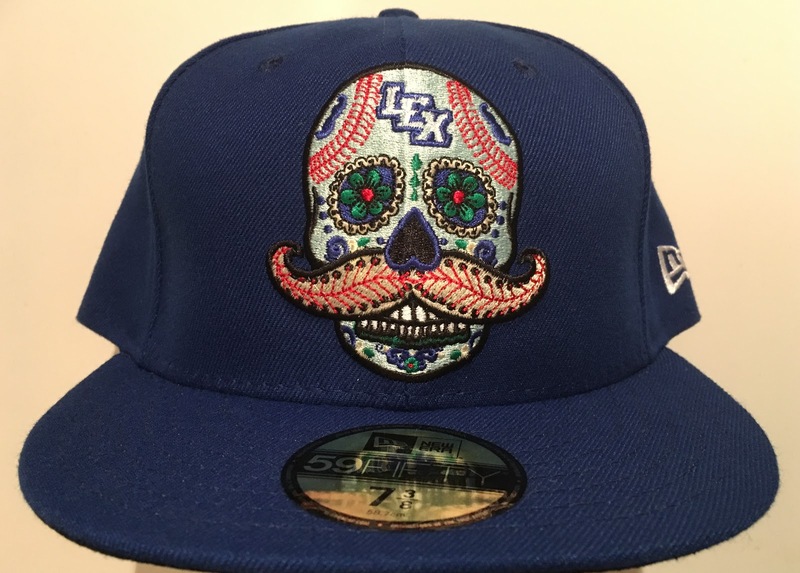 Incorporating a Dia de los Muertos sugar skull into an existing logo is kind of entry-level when it comes to creativity and using the Spanish word for "legend" (leyandas) seemed to me like the team was taking a shortcut in terms of coming up with a unique identity for the promotion until I gave it some thought. If the essence of Dia de los Muertos is to honor your ancestors, is there a better way to describe the respect you have for the generations that have come and left before you than to refer to them as legends? I don't think there is which is why this design fits so seamlessly with the story that is being told. Check out the complete set of 72 Copa de la Diversion logos that MILB unveiled this week by heading over to Paul Caputo's write-up on the whole thing over at SportsLogos.net and make sure you give yourself enough time to digest all that there is to see there. I know for now I'm personally only going to spring for a couple of the caps but I'm sure that number will grow just as the Copa has. This cap is pretty sweet and it fits me well so it is not going on the Trading Block but please don't hesitate to reach out if you want any other cap from that list and you are willing to part with any of the caps on my Wish List.